Eight cars have been put to the back of the grid for Saturday night’s Richmond NASCAR Cup Series race after failing technical inspection, including four of the top 10 qualifiers. This weekend featured a condensed two-day schedule, which meant cars did not go through inspection prior to Friday night’s qualifying session. Instead, all of the cars had to pass pre-race inspection on Saturday afternoon on the first try to keep their starting positions. 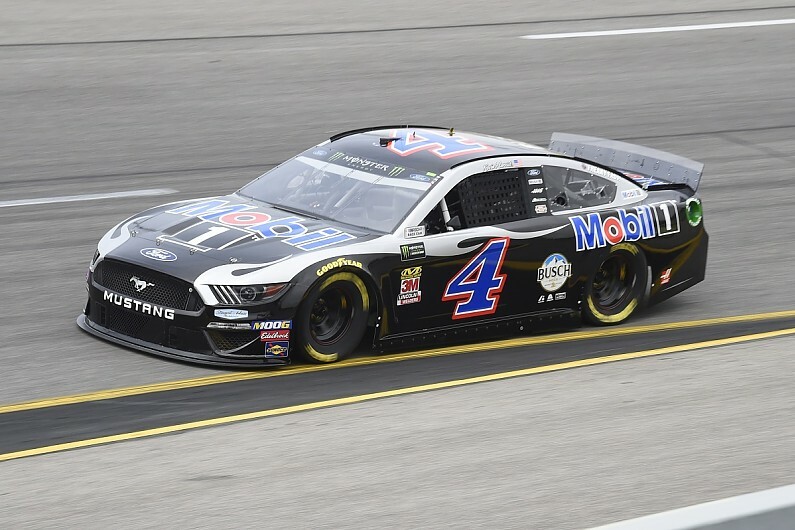 Kevin Harvick, who won the pole, passed on his first attempt and will still lead the field to green in his Stewart-Haas Ford. But there has been a significant reshuffle behind him, starting with original outside front row qualifier Erik Jones’s Joe Gibbs Racing Toyota losing his second place. Hendrick Chevrolet duo Chase Elliott and Jimmie Johnson also go to the back from seventh and 10th. Two of the four SHR cars failed too – meaning Daniel Suarez and Aric Almirola will be demoted from ninth and 15th respectively. JGR also had two cars fail inspection, with Denny Hamlin joining Jones at the back. Hamlin had only qualified 18th. Front Row Motorsports’ Matt Tifft and MBM Motorsports’ Joey Gase are the final cars being put to the rear. They had been 20th and 36th in qualifying. NASCAR has not provided any details about the reasons for the cars’ inspection failures. The penalties mean Ganassi’s Kurt Busch moves up to join former SHR team-mate Harvick on the front row, with Joey Logano, Kyle Busch and Martin Truex Jr elevated to third through fifth.